MacIntyre, an ex-Marxist still hostile to property, sees clearly how Burkean conservatives are clinging to “traditions” that are in fact quite young. The individualism of modernity could of course find no use for the notion of tradition within its own conceptual scheme except as an adversary notion; it therefore all too willingly abandoned it to the Burkeans, who, faithful to Burke’s own allegiance, tried to combine adherence in politics to a conception of tradition which would vindicate the oligarchical revolution of property of 1688 and adherence in economics to the doctrine and institutions of the free market. The theoretical incoherence of this mismatch did not deprive it of ideological usefulness. But the outcome has been that modern conservatives are for the most part engaged in conserving only older rather than later versions of liberal individualism. Their own core doctrine is as liberal and as individualist as that of self-avowed liberals. For MacIntyre, we live in a world of radically incommensurable traditions of thought. He believed that they could be rationally adjudicated by people who entered into each of them and identified which one had the most resources for addressing the problems that each internally identified with themselves. Such a person is confronted by the claims of each of the traditions which we have considered as well as by those of other traditions. How is it rational to respond to them? The initial answer is: that will depend upon who you are and how you understand yourself. This is not the kind of answer which we have been educated to expect in philosophy, but that is because our education in and about philosophy has by and large presupposed what is in fact not true, that there are standards of rationality, adequate for the evaluation of rival answers to such questions, equally available, ·at least in principle, to all persons, whatever tradition they may happen to find themselves in and whether or not they inhabit any tradition. When this false belief is rejected, it becomes clear that the problems of justice and practical rationality and of how to confront the rival systematic claims of traditions contending with each other in the agon of ideological encounter are not one and the same set of problems for all persons. What those problems are, how they are to be formulated and addressed, and how, if at all, they may be resolved will vary not only with the historical, social, and cultural situation of the persons whose problems these are but also with the history of belief and attitude of each particular person up to the point at which he or she finds these problems inescapable. Despite his greater nuance, MacIntyre proves to be part of the very same tradition of thought as Burke, though a later version of it. As the romantics began their revolt against the orthodoxy of the Enlightenment, they revived tradition as a source of value. However, they maintained the very same opposition between tradition and reason that was central to that orthodoxy, they simply reversed the valuation of each. As this line of thought was developed, the argument became that reason must necessarily rest atop an unreasoned tradition. It was a short step from there to note the variety of traditions across time and place. And from there you get to MacIntyre’s world where we’re all stuck inside these different worldviews and can’t escape them, because to escape a worldview is to have no standpoint from which to understand anything. He’s more optimistic than many versions of this, in that he has developed a method for bridging worldviews. But this became a very common strategy for the romantics, especially the historicist movement within it which sought after methods of entering into the worldview of people at a particular point in history in order to understand the period and the choices people made then. It is a reaction against such a methodological approach that motivated Hans-Georg Gadamer to write Truth and Method. But we’ll get to that in a moment. First, let’s take a moment to look at the other side of the aisle; the rationalists still carrying the torch for the ideals of the Enlightenment. For Adam Gifford and almost all his educated Edinburgh contemporaries it was a guiding presupposition of thought that substantive rationality is unitary, that there is a single, perhaps complex, conception of what the standards and the achievements of rationality are, one which every educated person can without too much difficulty be brought to agree in acknowledging. The application of the methods and goals of this single and unitary conception in any one particular distinctive subject matter is what yields a science. And that natural theology and the study of the foundations of ethics jointly constitute in this sense a science, just as astronomy does and just as chemistry does, Adam Gifford, once again like the vast majority of his educated Edinburgh contemporaries, had no doubt. [T]he old Jacksonian suspicion of expertise gave way to what became one of the principal hallmarks of the Progressive era: a profound, widely shared faith in scientific expertise and the scientific method as instruments of social progress. Between the late nineteenth century and the end of World War I, social reformers had embraced science, the new cultural authority of which was soon brought to bear on a variety of institutions that had previously been immune to its influence. The modern business schools, which were born during this time, were thus created in this spirit. It was believed that a science of management could be created that would not only increase the effectiveness of managers, but also locate their proper place in society and how they could contribute to the common good. MacIntyre believes that it was primarily Nietzsche who blew up the unified view of rationality with the radical particularity of his genealogies of thought. This diagnosis fits Gadamer’s account, though he speaks not of Nietzsche but of the historicists—who were particularists to their core—in general. Leo Strauss also believed that the historicists posed a great threat to reason, and concurred with Gadamer and MacIntyre that the vulnerability was created by the original Enlightenment rationalists and how they framed reason to begin with. Strauss followed his own peculiar path for reviving classical reason, which is interesting but beyond the scope of this post. MacIntyre essentially embraced a version of historicism which uses methodology to bridge the particularities. Earlier philosophers such as Wilhelm Dilthey and Friedrich Schleiermacher had followed a similar path. Moral philosophers who have sought to put rationality back together again have used some version of consensus as a starting point. The central example on this side of the pond was John Rawls, whose theory of justice demanded complete consensus “behind a veil of ignorance” and then used what Sweet Talker Sam Hammond has referred to as “ethical autoCAD” to build a huge moral edifice. The notion that this brings the promised neutrality of Enlightenment reason back to the fore by getting everyone’s agreement is—well, it’s an interesting claim. One that Adam Gifford would have no doubt rejected—for him, educated people agree on a moral matter because it is true, not the other way around. Sam follows Joseph Heath, and his unique take on the discursive ethics of Jürgen Habermas, on matters of normativity. “Moral facts” exist in an evolved institutional context, but they do have an existence that is intersubjective; that is, it has more weight than the radical particularity of the historicists. “We are bound to the normative commitments implicit to our objective institutions because in a very real sense they mirror us,” he put it. The rationality of our social structures is therefore often hidden as a feature, not a bug. Yet as self-conscious beings we ought to be able to extract and make explicit the implicit principals that pre-structure our social practices. For example, perhaps “justice as fairness” isn’t a context-free normative standard which looms over all other practices. Instead, what if discrete norms like “I cut, you choose” or “lets flip a coin” or “first one to improve and enclose unclaimed land gets it” develop spontaneously through cultural evolution as low cost ways of securing agreeable cooperative social relationships? Public reason liberalism is put back together again, then, through a social-evolutionary theory that emphasizes the centrality of cooperation between individuals for the properly lived human life. I was always one of those kids who liked the villains more than the heroes. So I suppose it should surprise no one that when Gadamer goes to bat for the great villains of the Enlightenment, I find it appealing. Gadamer is not just for tradition. He says he wants to revive tradition, authority, and prejudice. But what he wants to do is revive them in terms of how we think about human understanding; unlike others fairly close to him in intellectual genealogy, he does not want to develop a method for hermeneutics (the art of interpretation). Instead, Truth and Method is both a critique of historicist methodologists like MacIntyre (though Gadamer focuses on 19th century German ones) and an attempt to describe the process of hermeneutics, when it is successful. Of course, though he spends much time critiquing the romantics and historicists, his understanding of understanding is most in conflict with the Enlightenment conception of rationality. Based on the Enlightenment conception of reason and freedom, the concept of authority could be viewed as diametrically opposed to reason and freedom: to be, in fact, blind obedience. This is the meaning that we find in the language critical of modern dictatorships. 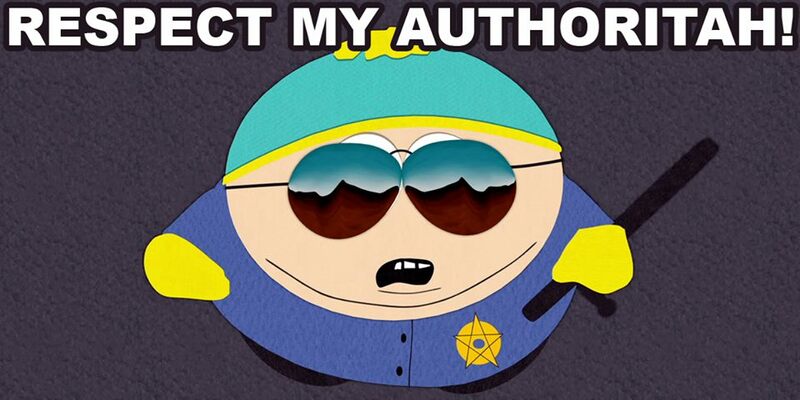 But this is not the essence of authority. Admittedly, it is primarily persons that have authority; but the authority of persons is ultimately based not on the subjection and abdication of reason but on an act of acknowledgment and knowledge— the knowledge, namely, that the other is superior to oneself in judgment and insight and that for this reason his judgment takes precedence— i.e., it has priority over one’s own. This is connected with the fact that authority cannot actually be bestowed but is earned, and must be earned if someone is to lay claim to it. It rests on acknowledgment and hence on an act of reason itself which, aware of its own limitations, trusts to the better insight of others. Authority in this sense, properly understood, has nothing to do with blind obedience to commands. Indeed, authority has to do not with obedience but rather with knowledge. For Gadamer, authority isn’t a pernicious thing that stops people from thinking for themselves. Nor is an appeal to authority a fallacy. Authority is about deference to someone with greater knowledge of the truth. This is perfectly licit—the division of labor in science has left most of us quite aware of the fact that there are people in the world who know more about some subject than we do. Any Hayekian should go further than that, of course—the division of labor writ large has left the knowledge of production processes, logistics, and marketing so widely distributed that no one knows how to do something as simple as create a pencil. Just as an accomplished physicists can be called an authority in their field, so too can the experienced logger be called an authority on logging. Moreover, appealing to authority isn’t just something done by amateurs with little knowledge of the subject matter. Even relative experts and people who are authorities themselves in some sense have a limit to how much they know and how broad their knowledge is. We are, as Gadamer emphasizes, finite, historical beings. We do not have the time or capacity to learn everything there is to know. And so the ecologist must sometimes appeal to the authority of the microbiologist, and the chemist must sometimes appeal to the authority of the physicist, and the astrophysicist of the quantum physicist. But even without subdivisions we must make such appeals. An economist who publishes a paper without reference to the authoritative paper on the subject is a poor scholar indeed. Even critical examination of such papers is still an acknowledgement of their importance. Ronald Coase’s “The Problem of Social Cost,” the most cited paper in economics, was a critique of A. C. Pigou’s The Economics of Welfare. Both works have remained important within the field, with their lessons being taught to young students of the discipline. Had Coase simply sketched out a theory rather than framing it in the context of a critique of an important work by an influential economist, it’s unlikely it would have received as much attention at the time. Authority is impossible to do away with when more knowledge exists than a single human can grasp. And that has been our situation for thousands of years. Finally, prejudices. This is something I’ve written about quite a lot lately (perhaps too much) and I think this post gives the clearest sense of it. But after an argument with Sam on the matter, I want to clarify things further. Our argument was in the context of discussing Joseph Heath’s “Rebooting Discourse Ethics,” in which it is claimed that “all traditionalism has become neotraditionalism” in the sense discussed above—the romantics and historicists discuss tradition as a black box from arm’s length, and—crucially for Heath—offer reasons why one should defer to tradition. Heath, and by extension Habermas, argue that this is because of the is-ought divide that occurred after Hume, creating a split between “facticity” and “validity”. There’s certainly something to it. When people talk about right and wrong and natural science, they use a vocabulary suggesting such a divide. But the impossibility of escaping the is-ought divide has been overstated; in our daily lives basically no one acts like it exists. Our construals of a given situation bind is and ought together in a seamless way, because we perceive our situation much like a narrative. A part to be meaningfully fit into the whole story. That story might be some sense of our life as a whole or it might be the American democratic religion. Stories about democracy, citizenship, tolerance, or self-reliance, mix sacred and profane reasons in a way that informs our construal of a given situation and thus enables us to make practical decisions in the moment. As I have argued, Gadamer does not fit into the mold of what Heath calls neotraditionalist. Gadamer does not provide reasons why we should respect tradition. Instead, Gadamer attempts to explain the role of tradition, authority, and prejudice in the operation of reason, especially reason employed in an act of interpretation. Whenever I discuss Gadamer’s conception of prejudice with people who have basically conventional Enlightenment conceptions of it, the existence of what he calls the “prejudice against prejudice” rears its head. Immediately people say, “sure, we have prejudices, but we can overcome them,” without fleshing it out much, as if this should be something that is perfectly obvious. If they are correct, that’s all well and good—this prejudice against prejudice is productive of knowledge, as Gadamer would say. But Gadamer’s claim is that they are not. But before the Enlightenment, Gadamer points out, “prejudice” did not have “the negative connotation familiar today.” It simply meant “a judgment that is rendered before all the elements of a situation have been finally examined.” For example, “in German legal terminology, a ‘prejudice’ is a provisional verdict before the final verdict is reached.” As such, it has a “positive validity, the value of the provisional decision as a prejudgment, like that of any precedent.” Only in light of the ideal of detached reflection did “prejudice” come to mean a baseless judgment— a judgment influenced by tradition, habit, custom, and not reason. Gadamer seeks to rehabilitate the older notion of “prejudice” associated with “prejudgment” and “precedent.” His novel twist, of course, is to give “prejudice” ontological significance and to connect it to historical understanding. Prejudice, Pre-judgment, pre-conception; these are synonyms in Gadamer’s terminology. To make this concrete, consider a novel. After finishing a given chapter of a novel, we no doubt have certain expectations about what the book as a whole will be like, based not only on the chapter itself but on our understanding of the genre conventions the novel is operating within, maybe even of our familiarity with the author herself or what other people have insinuated about the book. Once we have completed the novel, however, our understanding will have changed—not only of the novel as a whole, but even of a given chapter and its significance. Rereading the novel, we may find the chapter discloses things to us that it didn’t the first time—and these new disclosures, in turn, inform our understanding of the whole novel. In this way, even after we have read the whole book, we can learn from parts of it. The role of prejudices and our horizon are important to emphasize here. If we weren’t already literate in a language, if we hadn’t read other novels or been exposed to any fiction in film or animation, we would find it very hard to approach the novel at all. While many authors might like to think they’d be better off if their readers came without presuppositions, in fact it is those very presuppositions from exposure to many other works of fiction which make their work approachable, and any surprises in it more potent. Tradition, authority, prejudices, and our horizon—these are all ways of talking about our standpoint, and how we arrived at it. The example of the novel should hopefully show that Gadamer rejected the historicist belief in completely incommensurable worldviews. For Gadamer, worldviews are no more incommensurable than different languages—we can lack fluency in a foreign language, but that doesn’t mean that gaining fluency is impossible. It also does not mean that even the most challenging tasks in translation fail to convey the meaning of the translated text—with a skilled translator. It will be obvious that on this view of language there can be no such language as English-as-such or Hebrew-as-such or Latin-as-such. There are not even, it must seem, such languages as classical Latin or early modern Irish. There is only Latin-as-written-and-spoken-in-the-Rome-of-Cicero and Irish-as-written-and-spoken-in-sixteenth-century-Ulster. The boundaries of a language are the boundaries of some linguistic community which is also a social community. This conception of language does require supplementation in one way. There was indeed no such language as fourtheenth-century-English-as-such but only such languages as the-fourteenth-century-English-of-Lancashire-and-surrounding-districts, in which Gawain and the Green Knight was written. Obviously this process of language learning is best understood in the case of those who, like anthropologists in training, go to live in the society of the other culture and transform themselves, so far as possible, into native inhabitants. But it seems clear that where we have sufficient textual and other materials from a culture which no longer exists, those with the requisite linguistic and historical skills can so immerse themselves that they can become almost, if not quite, surrogate participants in such societies as those of fifth-century Athens or twelfth-century Iceland. He thus thinks that the “great books” method is fundamentally flawed, because to read the classics in such a quantity implies that the reader has not taken the time to immerse themselves in the context—and original language!—of each specific book. The problem with this perspective is that context is boundless, and if you need all the right context in order to understand at all, this implies you need all of the context before you can judge which of the context is enough to produce understanding. This brings us right back to a situation where understanding simply is not possible. Gadamer explicitly breaks with this line of thinking. He replacing “context” with “the whole” of which a particular text or perspective are a part. We advance through a provisional understanding of the whole—our horizon of understanding—and provisional judgments about the parts—in other words, our prejudices. As the example of the novel was meant to show, these provisional understandings and judgments are continually being revised. And so, from Gadamer’s perspective, we can get something out of reading the classics. And we can enrich this understanding by digging deeper into the context of a particular classic. The answer, in a sense, is straightforward: the “legitimate prejudices” make the best overall sense of the “things themselves.” In the case of literary interpretation, the “things themselves” are the texts, but more precisely, what the texts are discussing, that is, the subject matter as presented in the texts. Moreover, this is not a matter of us being trapped within our own subjectivities and simply projecting our own meaning into the text, which is probably radically different from Plato’s. It would be a mistake, therefore, to call the hermeneutic, or prejudicial, character of interpretation “reading merely our own meanings into the text.” First, insofar as our prejudices really do make sense of the subject matter as presented by Plato, they justly belong to the text itself, or to Plato’s conception of poetry itself. Second, to say that we read our own meanings into the text misses the sense in which we revise our own meanings as we read. Even when our prejudice seems to fit the text with remarkable precision, the very process of having justified the prejudice, of having measured it against the meaning of another, amounts to an increase in knowledge. Insofar as we comprehend the “other” within “our own,” we take away more than we came with. In reference to the previous example, our “own” conception of poetry cannot be formed without Plato’s. Another way in which our prejudices may be exposed to be illegitimate is, of course, dialectically. If we are open to the questions posed by our interlocutors, if they can point out characteristics of the text or bring in context (that is, characteristics of the whole) that we had not considered, we may be persuaded to change our view of the matter. Ultimately, I cannot say that I agree with Sam’s critique of Gadamer. It was mostly my failing to convey Gadamer’s position in full, I think. If you think about standpoints, it’s less—I hesitate to say “prejudicing”—than speaking in terms of prejudices. New York City looks very different from the standpoint of peering down from the Empire State Building, or walking the streets of Midtown, or walking the streets of Harlem, or looking at the skyline from New Jersey. There is no “correct” standpoint to observe New York from, each has its truth, and each may be legitimate or illegitimate for addressing some specific question. The person who has seen New York from many different places has a relatively broader horizon, but the particular place they’re standing right now may be more or less helpful for answering some specific question they have. Tradition, authority, and prejudices are not at odds with reason; they’re the foundation of it, the source of reasons. Sandel spends the entirety of The Place of Prejudice hammering on the point that reasoning is and ought to be situated. This is not a matter of tradition as a black box. It’s a matter of there being reasons for tradition (even if these reasons, per Sam, are sacred ones). We have seen how Gadamer and Sandel emphasize that even the preservation of a tradition is a critical act rather than automatic. In the case of standards, tradition serves both a pedagogical and economizing role. Standards did not come out of nowhere, they weren’t black boxes which landed in practitioners’ laps from the heavens. They were set by previous practitioners, and refined or altered by each successive generation who inherited the practice. As MacIntyre emphasized, there are problems internal to practices which practitioners are aware of and are a source of rival approaches and points of view. Standards often embody compromises with such problems; maps of the safest known paths to what are in general (but perhaps not in a given case) the best known bundle of trade-offs. The pedagogical value of this is that the very act of standardization makes it easier to pass on the practice to the relatively inexperienced. Once you understand what such standards accomplish, once you reached the point of making the necessary skills of the practice your own, you begin to reach a level of mastery where you can start tinkering with the trade-offs yourself. Customizing them a bit more to your specific goals and the particular circumstances. Perhaps even contributing to the improvement of the standards, or to the development of new ones. The great books approach which MacIntyre so looked down upon is simply one sort of standard, a pedagogical method for introducing students to a conversation that is too vast to simply master without putting years and years of your life into it. Helping students to see it as a conversation, where the already existing criticisms are just as valuable as the texts themselves, is something a good educator aims at. Sam had traveled down one intellectual road and found another that seemed superior. Yet he remains open to the questions posed by critics of Habermas and Heath, as well as to the possibility that he’ll encounter something which reveals a fatal defect in their project. He has already thought about what he will probably do in such a circumstance, and it won’t be to give up due to disenchantment. Would that we could all combine such boldness with such humility. To be honest, this was the last thing I read before I fell asleep last night and I’m not exactly sure whether or not I unearthed your point. From my perspective, there’s nothing inherently wrong with traditions. The only issue is how easy it is to exit from nonsensical traditions. Easy exit facilitates evolution. Hard exit fosters stagnation. Right now it’s “our” tradition is to allow representatives to spend our taxes for us. But I think this tradition is entirely absurd and extremely harmful. Unfortunately, it’s not easy for me, or anyone else, to exit from this absurd tradition. And maybe I’m not correctly understanding or seeing the true importance of this tradition. Yes, for sure, this is entirely possible. But who’s going to argue that fallibilism is a one way street? If we gave people the option to exit from this tradition then we’d see how many other people are in the same boat as me. If there are only a few other people in the same boat then this theoretically important tradition isn’t going to be harmed. If there are lots of other people in the same boat then the nation would have a vigorous debate about whether this tradition’s importance is real or imagined. Immense amounts of information would be exchanged and, as a result, our citizens would be that much more informed about the importance, or lack thereof, of this prominent tradition. The fact of the matter is that we don’t have impersonal shoppers in the private sector. Nobody in their right mind is going to voluntarily give their hard-earned money to somebody in exchange for goods that really don’t match their preferences. So I’m pretty sure that the only reason that this absurd and detrimental tradition continues to exist in the public sector is because exiting from it isn’t easy. This idea you have, that it would be better to vote directly on how the money is spent rather than having representatives decide how to spend it, neither came into existence from nowhere, nor does it stand on its own. It is connected to a large set of other ideas that make it coherent and defensible—the way people respond to incentives, for example, and the sense that people have some claim on the money that is taxed from them. You did not invent these ideas—they came down to you through a tradition of thought, developed by thinkers and practitioners. Some of their works you read, others were read by people you talked to, or by the people whose works you did read. This tradition of thought is not a black box, but a living, breathing conversation. You happened to encounter it through the contingent circumstances of your life–if you’d been born in another time, in another place, perhaps if you’d just gone to different schools or talked to different people, you might have been exposed to a very different tradition and bought into its ideas instead. So the fundamental question is, given how contingent your relationship is to this tradition, what reason do you have to believe that it bears some relationship to reality, and that you can know what that relationship is? That is the thing that the thinkers I cited in the piece struggle with. We interpret the world through the lens of the tradition we’re inside of. However, there are aspects of what we perceive that the tradition doesn’t seem to be very good at explaining. He refers to this as “having the resources” to explain something. He says we can judge which traditions of thought are superior by familiarizing ourselves with more than one of them, and seeing which has the most resources to resolve the most internal problems. Gadamer’s perspective is much more sophisticated. In his view, the boundaries between traditions are much more fluid than they are in MacIntyre’s. We’re constantly making provisional judgments based on the traditions we have come into contact with, as well as our experience. We can’t get rid of our prejudices, and in fact we need them to make anything intelligible, but we can and do revise them. All of this has implications for politics. Consider what I said about standards: the current political institutions can be seen as a set of compromises arrived at by political practitioners from the founding fathers (before, in fact) down to this day, changed many times along the way. People who were steeped in political philosophy and (later) political science and economics had a hand in shaping these institutions, to say nothing of the citizens who participated in a broad way through civil society, voting, making arguments in public or private, or simply tacitly believing in the legitimacy of the existing order. A claim that this needs to be radically changed in some way needs to be defended with a gravity appropriate to it—what were the _reasons_ that things were set up the way that they were? It’s easy to assume they were simply cynical and self-serving, but it is always best to begin by asking why someone would set up such a system for reasons that are _not_ cynical and self-serving. The founding fathers spilled a great deal of ink providing such reasons. The institutional entrepreneurs and stewards down our history were all men of letters who provided reasons as well. An appropriate critique, therefore, would engage with those reasons, rather than asserting a very simple model with a very simple justification. Society is never simple. This might sound a bit nitpicky, but there’s a pretty big difference between A. voting on how tax dollars are spent and B. spending your tax dollars. I didn’t invent tax choice? This is entirely true. But clearly it can’t always be the case that ideas are never invented. I’m the product of my environment… therefore I should question my first principles? Of course I question my first principles. Doing so is the mark of a civilized man! It’s entirely possible that my environment has me barking up the wrong tree. Therefore? Therefore I’d never force you to directly allocate your taxes. I’d never force you to stop believing in the efficacy/divinity of representatives. Right now your environment has led you to believe in representation. Therefore? Therefore it’s acceptable for you to… condone my being forced to give my taxes to representatives? Because… a billion years ago our founding fathers spilled a lot of ink? Because… it’s possible for government planners to know the true scope/structure of government? Which is why you’re a… socialist? If I had any faith that our founding fathers, or any other government planners, could get the scope/structure of government right, then I’d definitely be a socialist. My claim is… not… that the existing order needs to be radically changed. Maybe I’d be the only one who would choose the option to directly allocate my taxes. In this case, the change would be vanishingly small. If you want to assume that the change would be radical… then you’re assuming that lots of people don’t believe in your tradition. Society isn’t simple… therefore let’s block the exits? Representation is a sheltered monopoly. I’ve been really enjoying Wood’s book. I highly recommend it and would appreciate your thoughts on it.